How does it feel to hold someone's life in your hands, to cut through the stuff that creates thought, feeling and reason? How do you live with the consequences when it all goes wrong? 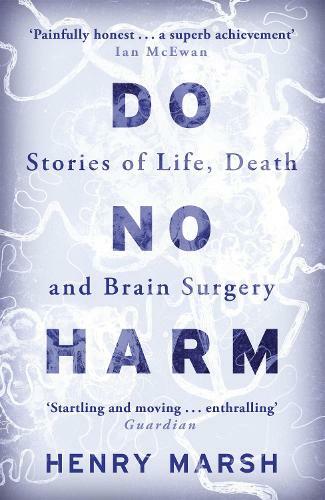 Do No Harm offers an unforgettable insight into the highs and lows of a life dedicated to operating on the human brain, in all its exquisite complexity. With astonishing candour and compassion, Henry Marsh reveals the exhilarating drama of surgery, the chaos and confusion of a busy modern hospital, and above all the need for hope when faced with life's most agonising decisions. Read the follow-up to Do No Harm, Admissions, which follows Marsh through the final months of his career before retirement, looking back over his life in medicine and the changing world of surger and the NHS. Read an Waterstones exclusive Q&A with Henry Marsh in which he discusses his life at the frontline of surgery, his views on end of life care and the future of the NHS.